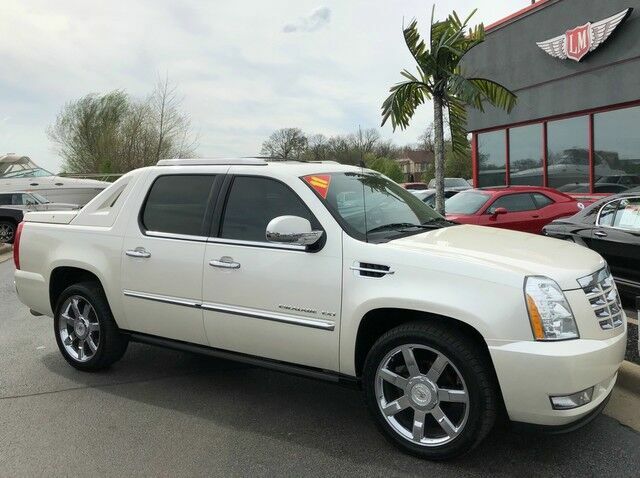 2011 Cadillac Escalade EXT Premium! Equipped with a 6.2L V8 engine, automatic transmission, AWD, heated/cooled front leather seats, heated rear seats, heated steering wheel, magnetic ride control, power running boards, DVD entertainment, navigation, rear view camera, tow package with 131,105 miles! Tag a friend in the market or share this post amongst your friends and if they purchase, I will send you $200! Financing available! Trades welcomed! FREE NATIONWIDE DELIVERY! Ask about our extended warranty for that extra piece of mind!